A few weeks ago I was walking down Steinway Street in Astoria with my friends and I saw this lovely multi-color street art mural of Audrey Hepburn. The amount of trucks that passed by while I was trying to take this photo is absolutely maddening. 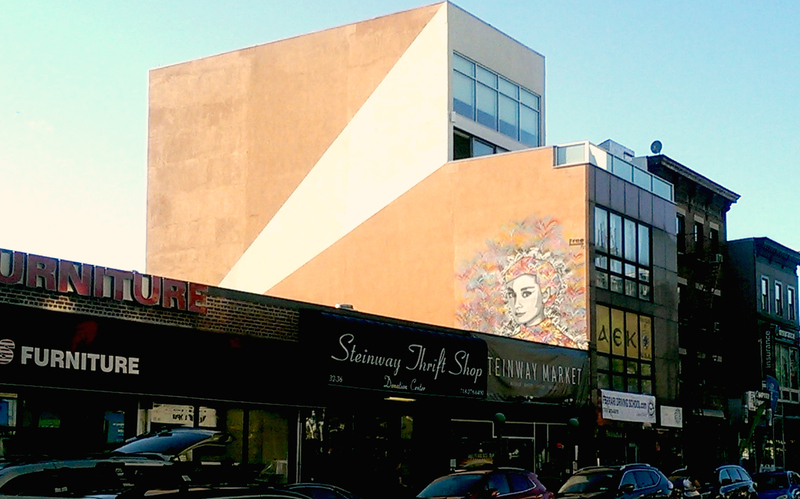 Anyway, if you’re passing by Steinway Thrift Shop near the Steinway station, look up and say hello to Audrey Hepburn. She’s sure to make your day.